The warehouse room door swings open and I’m overwhelmed by by a wave of onion fumes. I try to blink through it, but after 45 seconds I have to bolt from the room, weeping profusely. After a three minute conversation with the woman making coffee and snacks that day, I returned to the warehouse, determined to push through the burning. As my eyes slowly adjust to the onions and the fog of tears begins to clear, an intriguing scene emerges. Concrete floors, wooden tables, flashing knives held steady in weathered hands. 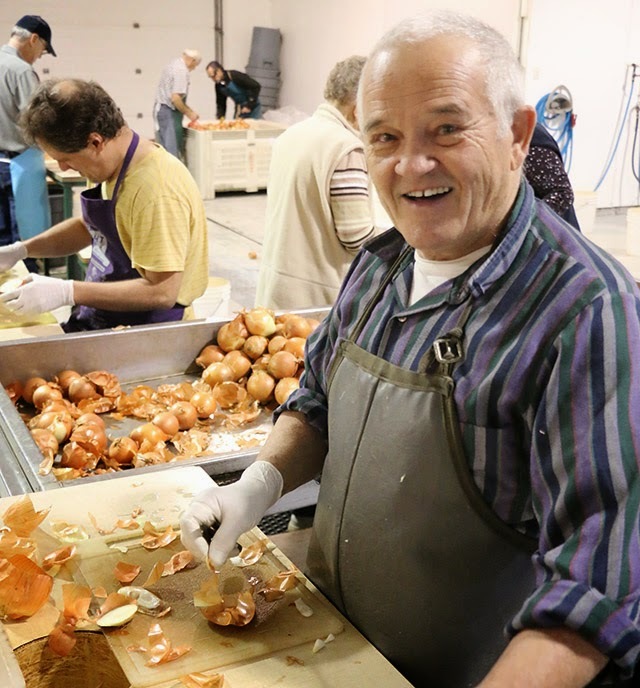 With expert cuts, the experienced hands are swiftly peeling and rinsing thousands of onions. 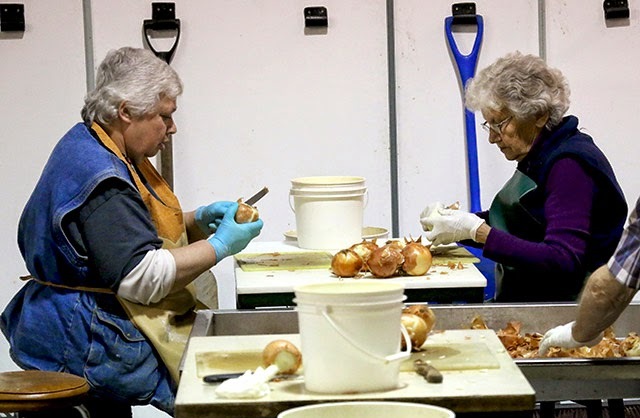 Fraser Valley Gleaners has just received a delivery of 2600 pounds of onions from a connection in Othello, Washington. 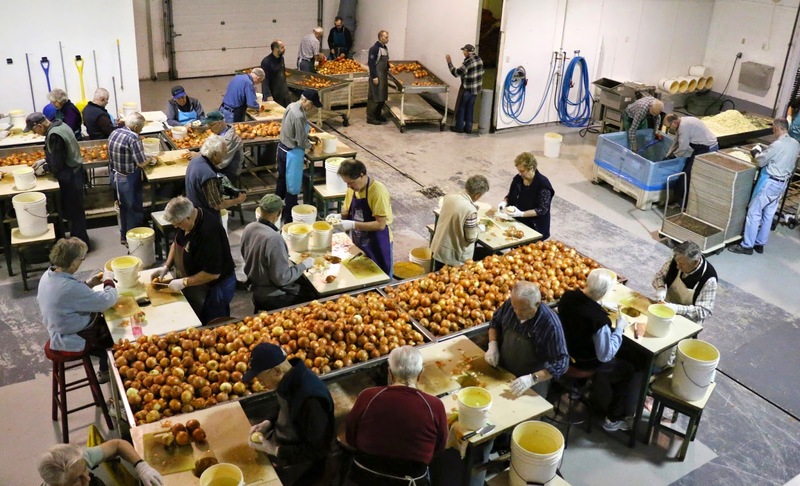 Most of their produce, however, is locally sourced here in BC. “What are you folks here for? 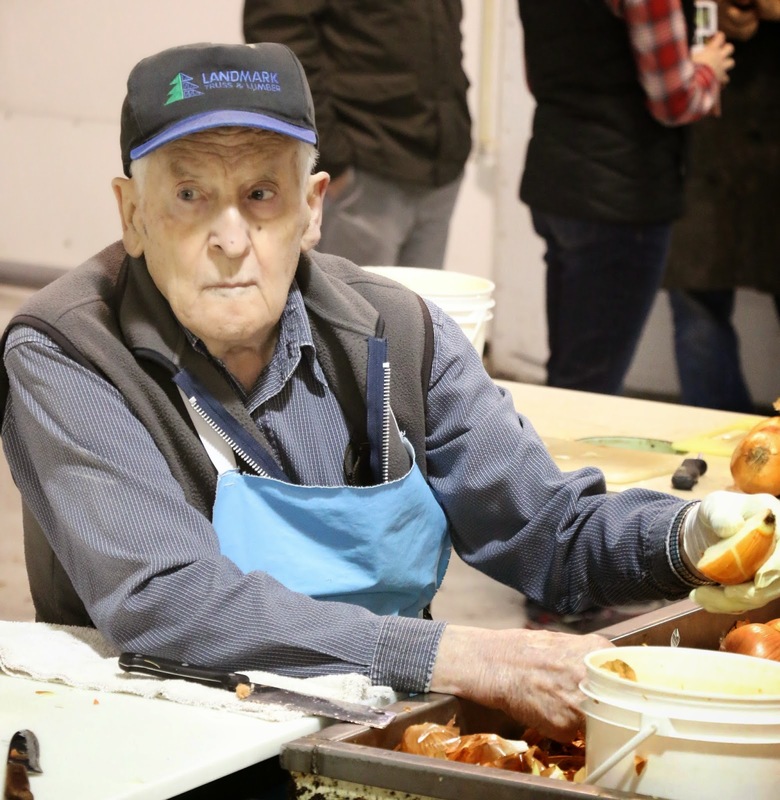 Are you with the cameraman?” I am introduced to John who volunteers his mornings four days a week to help process donated vegetables. John is over 80 years old. 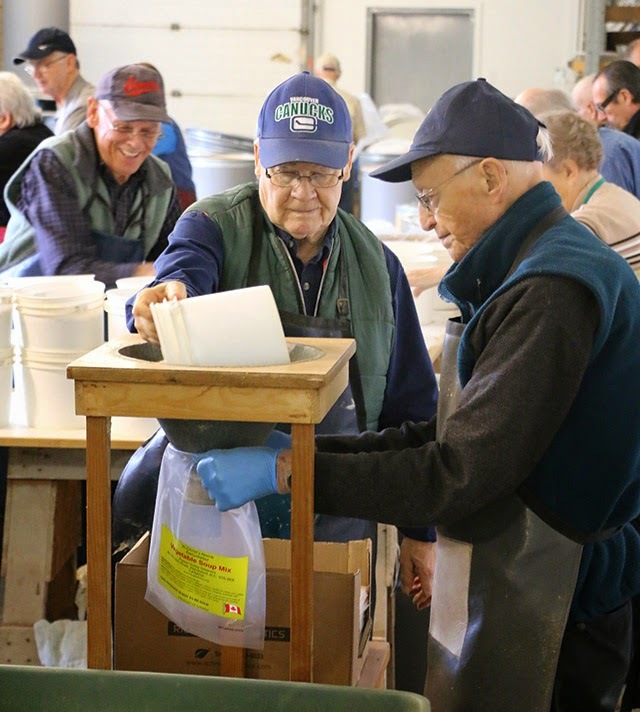 For almost 20 years, hundreds of volunteers - almost exclusively seniors - have faithfully gathered at Fraser Valley Gleaners to unpack, clean, chop, mix, dry, package, and box millions of servings of dried soup mix. They give their time and labour for multiple reasons, not the least of which is to feed malnourished children around the world. When I ask Martha and Elva who eats the soup they make, they list off a panoply of countries. “We just sent one to Ukraine, and I think the next one is going to Romania,” Martha says casually. I look across the room in the direction Elva points her knife, squinting to see through the onion haze that has suddenly returned to viciously attack my eyes. On the other side of the warehouse I see an older man with a blue apron and baseball cap. He moves slightly slower than some of the others, but I would never have guessed his age. “He’s 95? !” I exclaim incredulously. The women nod and chuckle. I jump as the giant coffee bell gongs behind me. 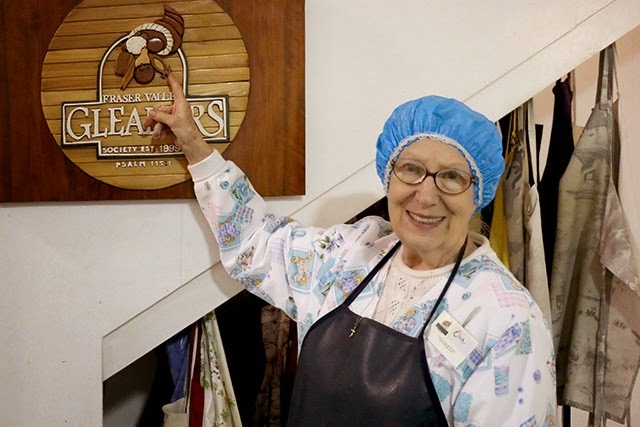 “Ah, Elaine’s calling us to the coffee break,” Elva explains as she and Martha put down their knives and begin untying their aprons. The coffee break takes place in a bright and airy dining room attached to a small open kitchen. 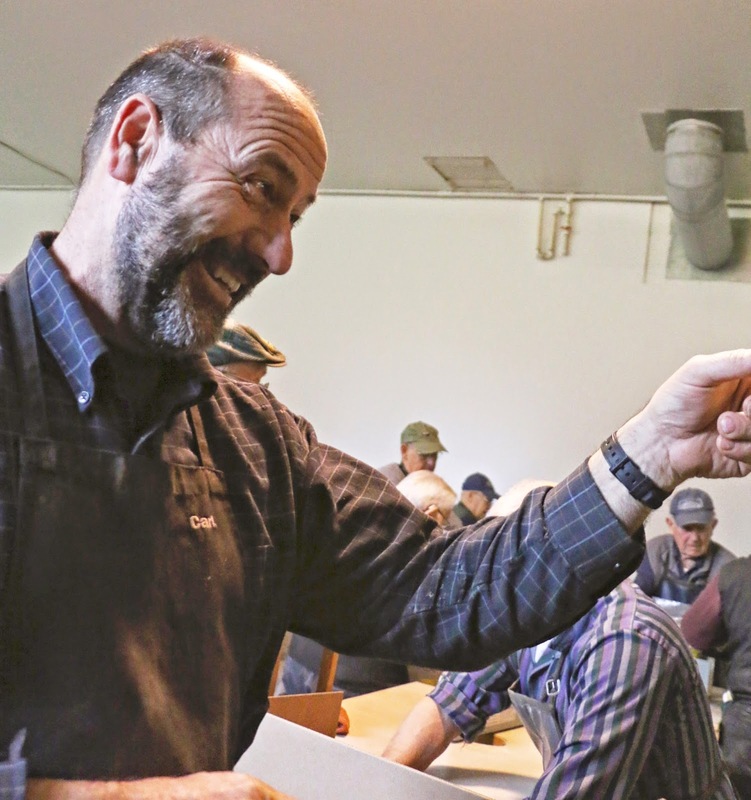 Volunteers gather in fours and fives around large wooden tables. They chat together like old friends, nibbling on cookies and sipping coffee. Squeezing myself into the last available chair at a table of elderly women, I awkwardly start asking questions about their volunteer experience. 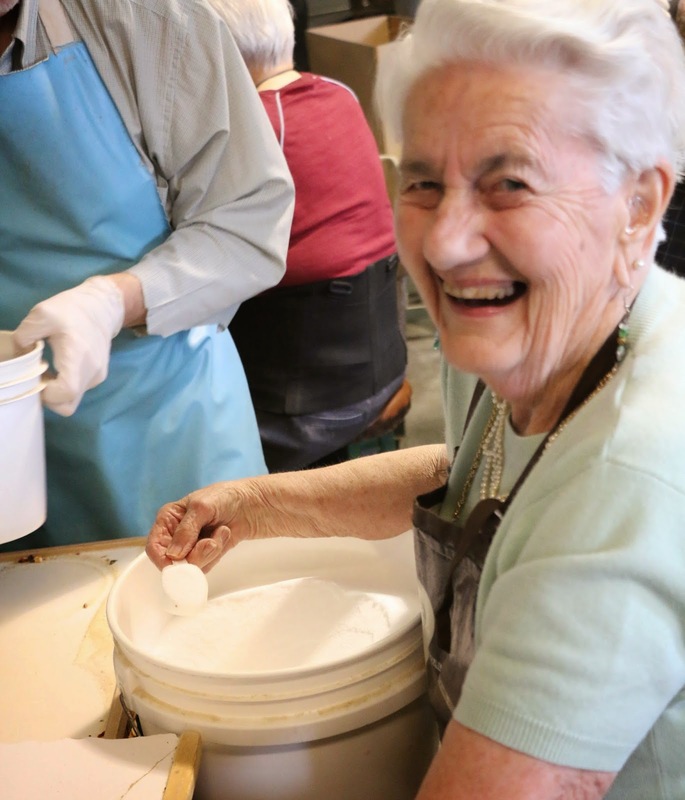 Thankfully, the women graciously chime in, “Well, I think what we get to do here is just wonderful,” a younger looking senior exclaims. I look around the room and see knowing pats on the shoulder, light-hearted laughs, and understanding nods. 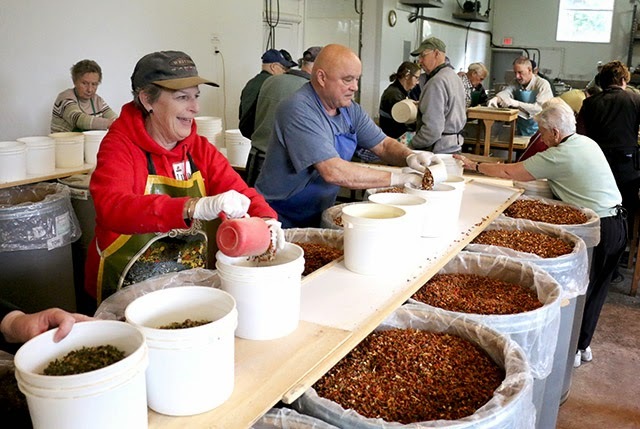 Not only are the Fraser Valley Gleaners volunteers doing meaningful work that helps feed children around the world - making approximately 150 meals an hour per volunteer - they have become a supportive community. Back on the floor of the warehouse it’s production line time. 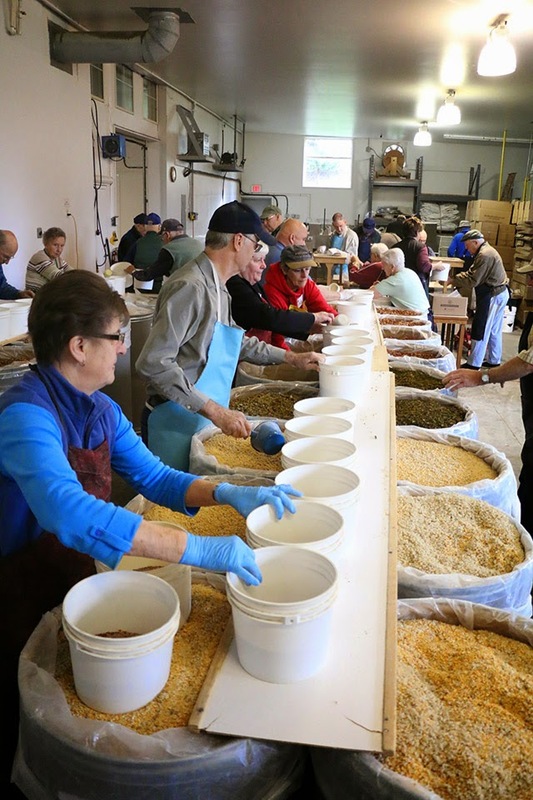 Small white pales are shuffled quickly along both sides of a makeshift counter as volunteers measure out cups of dry ingredients - dried veggies, lentils, barley, salt. 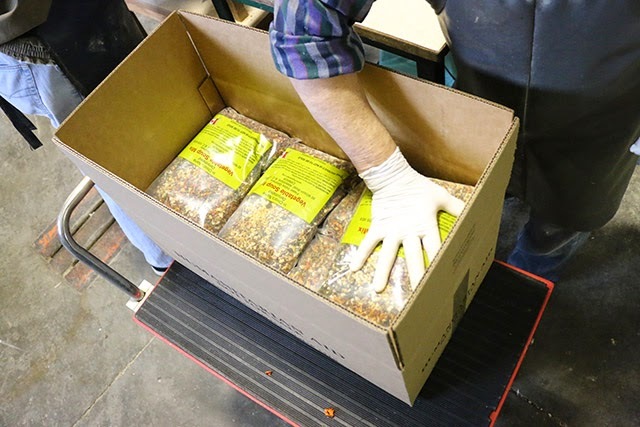 The bags are passed to the sealers who expertly pack them into boxes that are whisked away by the stronger men and stacked onto pallets, ready for shipping. They work expertly together like a well-oiled machined, clearly taking great pride in each small task. Some move a bit slower than others, those who are stronger do the heavy lifting, but barely anyone is under the age of 70. They are the picture of a loving, self-sacrificing, thriving community. And that’s what it’s really all about - communities helping communities thrive. 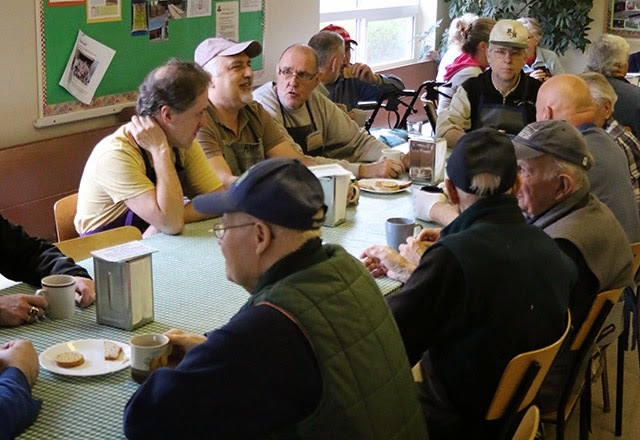 Whether the community is made up of malnourished children who need a bowl of soup, or aging seniors who need meaningful work and relationship - it’s always about thriving communities. JOHN VOLUNTEERS FOUR TIMES A WEEK!